Smoothies and juices have become the new ‘in thing’, haven’t they? Everywhere you look there are success stories of people losing weight or becoming healthier. Just by drinking fruit and vegetables. Of course, there still needs to be a lot of research done into whether this truly as healthy as people make it out to be. However, I can see the benefits in getting plenty of fruit and vegetables. For all you smoothie lovers and juicing addicts, here are my top tips. I know there are lots of books and websites out there, telling you that it’s a great detox or diet. However, only drinking juices and smoothies can be dangerous for your health. After all, you’re not getting any of the other important aspects of a balanced diet. What about your carbs and protein?! Plus, many of the smoothies and juices are packed full of sugar. Although it’s naturally occurring sugar, it’s still far too much for one person to be consuming on a daily basis. It’s good to have a few smoothies or juices a week but don’t go overboard. Surely you’ll miss chowing down on good food too? If you start throwing celery and spinach into any old blender, you’re going to encounter a few problems. Namely, a broken blender. It’s a good idea to invest in the right equipment if you want to make smoothies and juices. There are some which have been designed specifically for this type of thing. If you read all about the Vitamix 7500 vs 750, then you’ll see what I mean. Go for the blender that has been designed with smoothies and juices in mind. This way you won’t end up having to replace it every couple of weeks. If you want to get the most out of smoothies and juices, then you’re going to want to go fresh. Don’t buy prepackaged versions of what you can make at home. Most of these include a whole load of sugars and flavourings. As you’ve probably guessed, I love to make all my own meals. This means that if I were ever to go down this route, I’d have to make everything fresh. It actually works out a lot cheaper to buy fruit and vegetables to make up juices than it does to buy them in a carton. Especially as you can make a whole load in advance. Most recipes are freezable, so if you don’t have time then make a big batch at the beginning of the week. Freeze to lock in all the goodness and leave out to defrost the night before. There are so many juicing and smoothie recipes out there; it can seem like a bit of a minefield. My advice is simply to start playing around with different ingredients yourself. Take a recipe and experiment with it. What fruits and veggies do you like the most? Try blending them up and see how it comes out. You may have just invented an entirely new flavour! I still think I’d rather have a bacon burger than a green smoothie, but I can see the appeal. Getting lots of fruit and vegetables into your diet is crucial, too. If you’re going to go down this route, then make sure you follow my advice to get the most out of your new lifestyle. We all like to cook. Even if we pretend like it is something we hate, secretly we cannot wait for our friends and family to try our dishes. The feeling you get when someone compliments your culinary skills is incredibly rewarding. Plus, everyone wants to be a decent cook because it is one of those things that everyone should be skilled at. That’s why we buy mountains of cooking appliances that we hope makes us better. I know how you feel and I am here to help. To help take your dishes to the next level, you need to start cooking with wine and here’s why. At the most basic level, cooking is about maximising flavours. You want strong flavours that complement each other perfectly. This technique adds that subtle and sophisticated touch. Well, wine is one of the best partners for food for this exact reason. Add the right wine to your dishes and you’ll boost the flavour by multiples of ten, which is the result every cook wants. Beware, though, of using the wrong wine. For example, red wine goes best with tomato based, hearty dishes like pasta sauces and casseroles. What you might not realise is how much fat you add to dishes through basic cooking techniques. Fat is not good because it completely negates the effect of eating healthily if that is what your aim. What is the point of deep frying fish in the batter? Wine, however, doesn’t add any fat at all, but it does add flavour. So, it is a great way to make dishes tastier and healthier. Wine is not all about the flavour. By adding wine to a dish, it acts as a catalyst that then makes the food cook quicker. Normally, you would need to increase the heat to have this effect. But, with wine you can keep the heat the same as not to impair the flavours and cook the dish in record time. Plus, the wine helps the other ingredients release their natural oils and flavour. Wines do differ in taste, as I am sure you know already! Well, these differences in wine also make a difference to the dish. The two main bodies of wine are dry and sweet. Dry is usually a lot higher in alcohol content because it has fewer sugars. So, if you want your food to pack a punch, the dry option is always the best option. On the other hand, sweet wine has more sugars, which is best for a zingier flavour. Maybe a marinade for white fish? The way you prepare your dish will have a knock-on effect with regards to your choice of wine. For example, a cut of meat that you garnish with plenty of herbs and spices needs a full-bodied wine to stand up next to the strong flavours. To make life easier, visit an online wine store and stock up on a couple of different varieties for every occasion. Cooking is all about having fun. Yes, it can be hard work during the process because of time restraints and different variables. But, it is well worth it in the end. Anyway, you can always take the edge off with a glass of wine or two! Starting and keeping a restaurant is not easy, and expenses can pile up very quickly. Especially during the opening months of a restaurant, owners expect to spend a little more at first, then less as they gain more customers through word of mouth. And then, depending on their success, they will see that early surge of interest drop to more normal levels, reducing the cash flow coming in. In such circumstances, even the most well-trained and prepared manager or owner looking to cut costs can easily become flummoxed in a restaurant with issues that would normally appear beyond anyone’s level of control. However, even in the most difficult of scenarios, it’s a straightforward process to step back and then proactively attack where costs can be cut without sacrificing quality. The reality is that most menus have overhead costs which make certain menu items become loss leaders, items that lead to a net loss for the restaurant when they are ordered. Getting rid of these items is one area where costs can be reduced, unless they can be used in a way which gets customers to order other items; appetizers usually fall into this category. The first priority when studying costs is to make sure that dishes are profitable, or that they lead customers into more purchases such as drinks. Combine the cost of your overhead per customer and the cost of your menu items, and make a determination accordingly. While not always the most popular move with the staff, giving them a little cross-training is always helpful, and this is considered to be standard advice when it comes to operating a restaurant. In some cases, cross-training can open up potential new doors for employees. For example, training prep cooks on the basics of some specials can help in situations where there is a great deal of stress on the kitchen to produce. It can help as well to train managers and bus staff to serve and provide things like beverages when the wait staff is overloaded, to make sure that every client is served. Not only does cross-training reduce costs, it can also help for creating alternate skeleton crews in case of emergency or expansion. As a side note on staff, employee turnover is huge in the restaurant industry, and that results in added expenses. It’s better to pay a quality staff well than to have to start over continuously, and it will save money in the long run. It is extremely important to make sure that your overhead costs are as low as possible. Besides food and labor, it’s a good idea to investigate where else your money is going when it comes to expenses. Review your business electricity and telecommunications costs, and switch providers if necessary. Always try to find the best for your money. Using open-air seating and humidifiers as opposed to the building HVAC can also save money in many cases. Once you’ve worked on both food and staff, your related costs are where you’ll find savings. This article was contributed on behalf of Amigo Energy, your number one choice when looking for the best electricity rates in Houston. The flavors and aromas of gourmet coffee don’t have to be a “coffee shop only” experience. A truly tasty cup of a coffee is possible to brew at home. With a little bit of knowledge and lot of love for coffee, brewing a cup of coffee with that gourmet flavor at home is a snap. So, how does one go about obtaining the best coffee flavor? The following guidelines will help you get gourmet coffee flavor at home. Although it seems that this should go without saying, starting with the right coffee is the key to getting the gourmet flavor from your coffee. To find the right coffee, look for a gourmet roast that is a single bean, not the mixed blends you find in the grocery store. A gourmet coffee is defined as being comprised of 100% Arabica bean, according to Coffee.org. Perhaps you are still searching for the perfect coffee flavor, in which case, Coffee Review is great resource. This site reviews coffees, offering readers descriptions of the best coffees available. Be vigilant. Many coffees are labeled gourmet that actually are not. While the flavoring in some coffees may be similar to gourmet, the coffee is only gourmet only if it contains 100% Arabica. Consumers can determine what type of beans the coffee they are interested in by reading the label. It should tell what type of bean is contained in the coffee. If the beans are named, the rule of thumb is that it can be assumed that the beans are Robusta. Robusta beans are named so because they are able to grow in regions that Arabica can’t. Also, use whole bean coffee, not ground. Most importantly, don’t freeze your coffee beans. Freezing them creates condensation, which can destroy the flavor of the bean. You also should not refrigerate them for the same reason. Additionally, don’t grind your beans until you are ready to brew your coffee. This last bit has to do with the coffee bloom, which is essential to capturing the flavor of the coffee. What is coffee bloom? Technically, it is an event, a point at which the coffee beans release their carbon dioxide in such a fashion that the gas releases pressure that causes the coffee and water to expand as long as the gas is present. It looks a bit like a flower blooming, thus the name. This process is described in great detail in “The Science Behind the Bloom.” During this process, the unique flavor of the coffee bean is released into the coffee. It takes skill and careful handling of the coffee bean to capture the flavor. Capturing the bloom is a delicate process. Starting with whole beans ensures the beans still have carbon dioxide trapped in them. Once they are ground, they begin to give off the gas. In order to get your coffee to bloom, simply pour a small amount of warm but not hot water slowly over the grounds. You will be able to see the bloom occur. Once this has happened, proceed with your normal brewing routine. You will have captured the essence of gourmet coffee flavor, and in your own home too! I refuse to believe there is a soul on this planet that doesn’t love pizza! Admittedly, some may suffer adverse digestive effects from the dough or the cheese but you’ve still got to love pizza. I love how you can just throw any toppings on and have yourself a great meal to share with friends. Pizza can be one of the easiest dishes to prepare at home too. Now the cost of ordering a pizza delivery has reached such extortionate levels, I’ve been looking at some new ways to enjoy this Saturday evening treat. 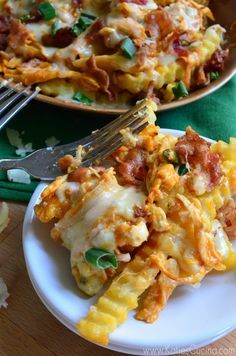 You can’t beat a bacon and cheese combo, and that’s why I love some grilled bacon chopped up and thrown on top of my pizza. The extra saltiness does call for something a little sweeter to go with it. You can try adding some chopped pineapple for a more sophisticated take on the traditional Hawaiian pizza. For me, it’s all about the toppings. For others, the tomato or barbecue base sauce it what makes a winning meal. The sauce certainly has its place when it comes to providing moisture, but making pizza sauce can take a really long time. Ideally you simmer the chopped tomatoes, garlic, herbs and spices for up to two hours. When I’m hungry, I’m not waiting two hours for anything! Instead, cook up a batch of your favorite sauce recipe and freeze the leftover to reheat for next week’s pizza! The choice of cheese on a pizza is important too. Grated cheese spreads and oozes and makes everything about a pizza pretty wonderful. I love a more mature tasting cheese like a strong cheddar. Lots of people love circles of mozzarella with that extra creamy after taste. It really depends on how you’re baking the pizza. If you use one of those incredible gourmet wood fired pizza ovens then you’re going to want mozzarella every time. The dough is tough to get right every time. The temperature in my kitchen is always variable because of open windows and people breezing through from time to time. It can be really sticky and messy too. Corn flour on your board and hands while you’re handling the dough can add a nice texture. 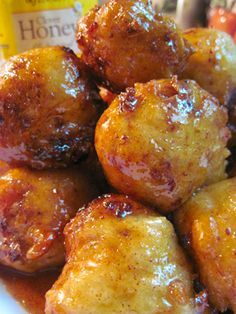 The tiniest pinch of finely crushed chili powder added to it brings out a wonderful flavor when it’s baked. Now onto the debate all students have to have. Does cold pizza in the morning taste better than the night before? That depends on the pizza. Of course, it is essential to keep any food products properly packed and refrigerated. With that in mind, fridge-cold pizza isn’t quite as nice as room temperature or a hot pizza. Reheating in the microwave tends to make the dough hard too. Enjoy it fresh, first time, every time. Pizza really can be the meal of kings. Think about tomatoes, peppers, roast chicken pieces, tikka sauce, and cheese topping. You must be hungry by now! The best thing about pizza is sharing it with friends and family. You can make it together, break it together and eat it together. It doesn’t get much better than that. Enjoy! If you hadn’t guessed already, I love bacon. My love of bacon doesn’t stop me from trying new foods and exploring different dishes. It just helps if they include bacon! I’ve been thinking about different cuisine and simple ways I can bring that into my home. Starting with simple meals is a good way to start getting into new food. Especially useful if you live with fussy eaters! Teriyaki chicken is a delightful dish, and you’ve probably heard of it before. If you’re in a rush and throwing a quick meal together, it’s possible to buy pre-made teriyaki sauces. If you’ve got a little more time, it’s not a difficult task to make your own. You’ll need the following. 12 tablespoons of soy sauce, 50 grams of sugar, a dash of rice wine vinegar, a pinch of ginger, some pepper, two teaspoons of oil and some spring onions. Once you’re prepared, whisk everything up till the sugar is dissolved and add more salt, pepper or sugar to taste. For best results, marinate your chicken for extra strong flavour. If you’re not marinating, add the mix to the pan when you’re cooking your chicken for a tasty treat. I’ve heard this dish mentioned on the menu at the best Lebanese restaurant in my area. It sounded simple yet filling. Sambousek is a small parcel of meat wrapped in pastry. The dish is almost like a samosa or even a spring roll. Make the dough with flour, olive oil, salt and water. If you’ve not the time to make the dough yourself, you could look for shop bought pastry. You want to cut your dough into circles, and fill each with a mixture of cooked lamb, onions, vegetables and spices. 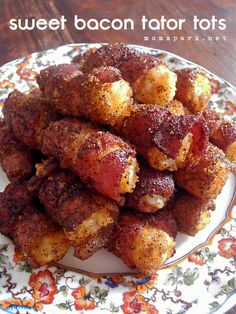 I like this idea because I can get creative and even add bacon if I like! Once you’ve made your parcels all you need to do is fold them up and fry them, so they’re nice and crispy. Pad Thai is a well-liked Thai dish. It’s a simple dish that’s full of flavour. I like the idea of Pad Thai because it’s another dish I can experiment with and put my spin on it. It’s not difficult to get hold of a Pad Thai cooking kit in your local supermarketing, but it is much more fun to make it yourself. You’ll need to get your hands on some Pad Thai noodles and cook these first before you make the sauce. Then you’ll want to heat some oil and cook a minced clove of garlic for a couple of minutes. Follow this up by adding two lightly whisked eggs. Remember to remove them from the heat once they are done. After this, you want to stir up some soy sauce, sugar, lime, fish sauce and chilli flakes. Mix the sauce with your noodles and eggs. Then you can garnish it with spring onions and chopped peanuts for a mouth-wateringly good texture. I don’t think any of these recipes should be too difficult. So no excuses – get cooking! 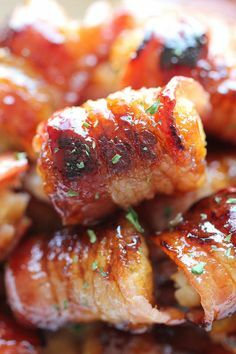 If you’re as crazy about bacon as we are, you’ve probably dreamed about being able to enjoy the perfect bacon sandwich for lunch – the kind that’d attract envious looks from your colleagues as they munch on their uninspired, store-bought pasta salads. But guess what? If you’re someone who is looking to stay healthy, maintain normal cholesterol levels – and maybe lose some weight while you’re at it – packing your own lunch is the best thing you can do: and there’s no reason why bacon can’t be a part of it! 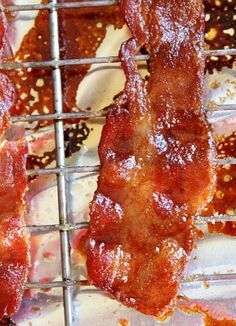 Now, you’ve probably heard that it’s impossible to have your bacon if you want to have normal cholesterol levels, too. Of course, your health has to be a priority – but looking after your body doesn’t mean that you can’t have bacon (and eggs, while we’re at it) in small doses. In fact, many people argue that eating saturated fats such as bacon in moderation is nothing you should worry about – and they’ve got the science to back it up. Don’t believe us? Do some research and educate yourself about normal cholesterol levels, what your recommended daily fat intake is, and how you can make your bacon sandwich healthier (such as cooking it in the oven rather than frying in a pan) – some of which we explain below. If you want to make a healthy bacon sandwich, choosing white toast or a crusty baguette – as tasty as it might be – is simply not the way to go. Instead, opt for wholemeal bread. You can still have your toast or baguette; just make sure it’s the good kind. Choosing a brown wrap is also a great option – you’ll still be able to enjoy the bacon, but with a lot less carbs from the bread. By opting for healthy shell, you’re half way there! Now, just because you’ve got bacon in your sandwich doesn’t mean it’s automatically unhealthy – as long as you balance it out with a few nutritional ingredients, too. If you’re bored with lettuce, why not create a spin on the classic BLT with ingredients like avocado slices or fresh spinach? Pumpkin seeds are also a great addition, and tomato will make the sandwich taste super fresh. Lastly, avoid anything else unhealthy – so use ketchup or brown sauce sparingly, and forget the butter – the fat from the bacon will be more than enough to naturally butter your bread. If you make these healthy choices, there’s no reason you can’t enjoy an occasional bacon sandwich as a midweek lunch. Simply pack up your sandwich up in tinfoil, and watch your colleagues drool with jealousy! Whether you are just starting out or you want to expand your employee base, pre-screening using skill testing services can ensure that you will have the best staff possible. Restaurant customers have high expectations in terms of time and quality, and this is why you want to make sure you get the client experience right the first time, every time. Pre-screening reduces the risk of employee turnover, as well as ensures that their training and job performance maximizes your restaurant’s profitability. Depending on what level of employee you are hiring, you want to make sure that you hire people based on skills and experience. Often restaurants start with a manager; hiring a manager is crucial and can substantially simplify the process of hiring others at different levels of service, if done correctly. Making sure you’ve chosen a sufficiently experienced or skilled manager can make all the difference in whether the restaurant will be successfully operated, independent of your presence. The next step is ensuring that you hire competent kitchen staff, as they will be directly responsible for implementing your vision to the customers. Finally, ensuring that you’re employing skilled and pleasant floor staff will complete the employment picture. At all levels, your employees should be screened to ensure that they’re able to do the job for which they were hired. It’s sometimes suggested to hire over the amount of employees you expect to keep because restaurant turnover can be as high as 20%. Hiring extra kitchen or wait staff is a smart way to ensure that employees will work harder to keep their position, as well as accommodate for potential turnover well in advance. Ensuring that a potential employee will be a good fit is tricky. It means making sure that employees can do the jobs they’re expected to. In this, experience is the most important factor to work with. Workers with stable, solid experience in their fields looking for new opportunities are often the best employees to hire. That said, depending on their level of experience, all employees will need some level of real time screening or testing so you can be sure it will work out for your business. Sometimes an employee’s experience will not always match the needs of the restaurant. Someone with years of experience working a high-volume breakfast shift at a diner is often more capable than someone with experience in a quiet cafe with limited attendance. Sometimes catering wait staff will work best for your restaurant. Choosing the right fit between employee and restaurant simply depends on what you are trying to accomplish. It can be extremely difficult for a restaurant to make sure that every employee is a perfect fit, and sometimes what looks like a good fit on paper doesn’t translate into real life. This is why skills assessment is extremely important. They’re professionals focused on matching the right company with the right employees, which can be very helpful at every level, whether management, kitchen or wait staff. Is Hog Roast Catering Right for my Wedding? If you are planning your own wedding, high on your list of priorities is going to be catering for your guests. Food is an important part of any wedding. It is a chance for everyone to sit down together and enjoy good food and each other’s company. For most people the first step in planning a wedding feast is deciding what type of food to serve. If you are at this stage this article is for you. Here we look at hog roasts and give you the information you need to determine whether hogroast wedding catering is right for you. The first thing to explain is that using a hog roast caterer does not necessarily mean having to serve a hog. Modern hog roasting firms offer their customers a wide choice of food. Of course, there are still a few firms out there that only do roasted hog served in buns with applesauce, but most now offer far more than that. Modern spit roasting machines are designed to be able to spit roast, or straight roast most meats. This means that if you want to serve beef, hams or lamb at your wedding feast you can go ahead and do that. It is also up to you to decide what side dishes you order. You can choose to provide finger foods, salads and side dishes to your guests. The best hog roasting firms know that not everyone wants to serve mostly meat at their events. That is why many also provide a range of vegetarian options. They will quite happily barbecue vegetarian alternatives like veggie sausages and burgers or fish as well as meat. Many hog roast caterers give their customers a choice of how the food is served. They offer both buffet style and formal sit down meals. It is usually possible to hire waiters and other front of house staff from hog roast catering firms. Provided you hire a proper wedding caterer, you get excellent support. Normally, a single person is identified as your point of contact. They take care of all of the little details for you. That means liaising with the venue to ensure that there is enough space available for their catering equipment as well as sorting out important details like what time they can get access to the venue to set up and start cooking. A hog roast is flexible. For smaller wedding parties a small hog can be provided or other types of meat along with a select range of finger foods and side dishes. Weddings with several hundred guests are also not a problem. Most firms have several spit roasting machines available and enough staff to be able to send several chefs and catering assistances to one event. As you can see if you are looking for a way to cater for your wedding, a hog roast is an option that is well worth considering. Not only is an impressive way to feed your guests it is also a relatively inexpensive because a hog roast feeds a lot of people. If you’re anything like me, you will regularly indulge in some so-called junk food. There are so many candy and chocolate products around these days that it can be hard to pick which one would make for the best snack. In this post, we’re going to draw your attention towards some of the best and most popular candy products of all time. We might even drop in a few obscure facts in order to make things a little more exciting. The infographic below highlights even more information you might like to read. Since it was first released in 1880, candy corn has been an incredibly popular treat in America. Indeed, it is still the number one Halloween candy sold in our stores. Most of you will have eaten it when you were younger. Maybe you should try it again now. It still tastes just as amazing. In 1900, the Hershey’s Milk Chocolate Bar was first placed on our shelves. The chocolate was much sweeter than anything else around at the time, and that helped to secure its position on this list. You can still get hold of them today at your local store. Everyone will have eaten a Milky Way chocolate bar at some point during their lives. They didn’t make it into stores until 1923, but they have become incredibly popular since then. Why not relive your youth and grab a pack this afternoon? If you want to read more about the best candy products ever produced, just scroll down the page.